In partnership with Stress Health, an initiative of the Center for Youth Wellness. I don’t talk about my childhood a lot, and to be honest, it’s not something I like to think about. I had a very difficult and stressful childhood. My mother was in an abusive relationship, and it was a very unhealthy situation for me as a child. I ended up being adopted by my grandmother when I was in kindergarten, and I am fortunate that I don’t remember a whole lot about those younger years. 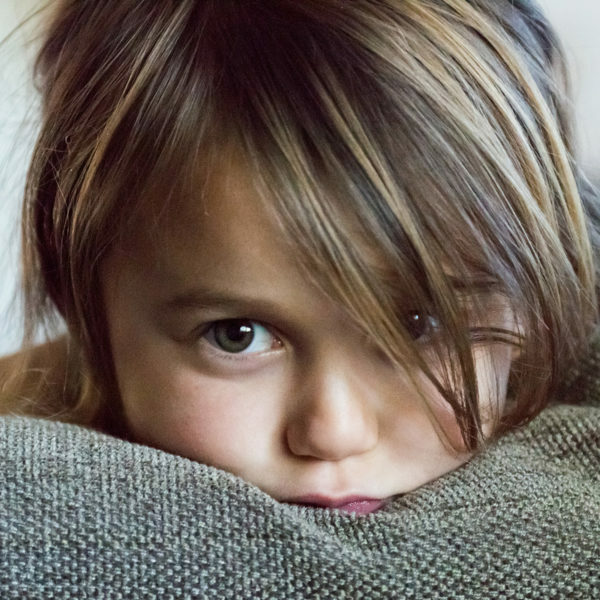 You may know that there are toxic levels of stress for adults, but did you know that it is the case for kids, too, and that it can affect them their whole lives? While I don’t remember many details of my childhood, there are issues I have struggled with that I think stem from my childhood (e.g. anxiety, stress management, etc). Kids who are exposed to very high doses of adversity without the support of loving and caring adults can have more than double the lifetime risk of heart disease and cancer and a nearly 20-year difference in life expectancy. They’re also at greater risk for depression, obesity, substance abuse problems, smoking, lung problems, and teen pregnancy, along with other chronic illnesses down the road. There are different levels of stress, from positive stress to tolerable stress to toxic stress. Everyone, from kids to adults, goes through positive stress. For kids, this could be from taking a test or experiencing a new situation. We are all familiar with those daily stresses, and it is part of everyday life. Tolerable stress is a “medium” stress, and those are a little more intense. For example, recovering from an injury. While it might take longer to bounce back, there is resilience, especially with the support of loved ones. Unfortunately, toxic stress is something more severe and/or endured over time, such as abuse, and develops when someone is without a support system. I am very fortunate to have had my grandmother to remove me from an abusive home, and while I had some lasting effects (e.g. years of nightmares), I was able to continue my childhood without toxic stress. 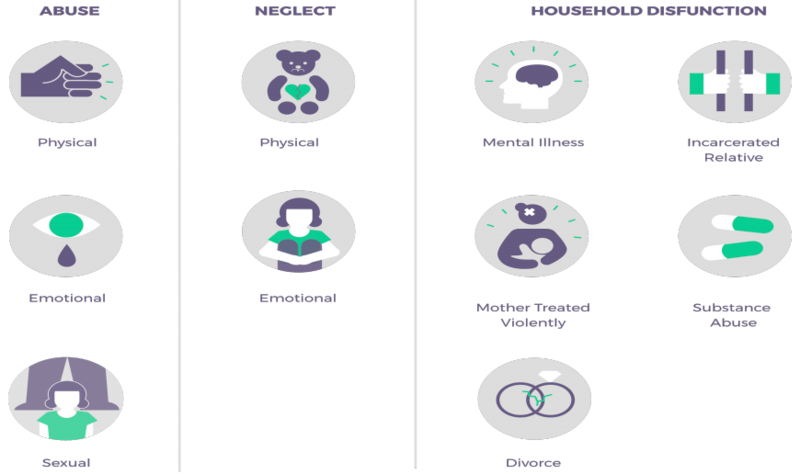 Researchers call these “Adverse Childhood Experiences,” or ACEs, and have linked ACEs to a higher risk of disease and other problems. There are lots of great resources at the Center for Youth Wellness online. They have detailed information about Stress Health created to support families and individuals dealing with adversity and toxic stress from childhood through adulthood. I didn’t know about these different levels of stress. My parents divorced in my teens and it was very messy. I definitely think it’s close to the toxic end of the scale looking back on it. I’m so glad you had your Grandma to rely on and continued your childhood with less stress! This is good information. My son struggles with anxiety whoever there is change due to autism. I was not aware that children were exposed to so many stress factors, very informative. A great infographic that is helpful for understanding levels of stress and where that stress might come from. As a former educator, this would have been helpful to my teachers. I didn’t know there was so much stress out there. I’ll keep these in mind for sure. I always want my kids to be stress free. I never realized there were three different types of stress. I see now that we all go through positive and tolerable stress. I feel bad for those kids having to go through toxic stress. It’s so sad. Kids are more sensitive to stress in the home than I think some realize. I am interested in learning more about these difference types of stress. There is a lot of stress factors that you don’t realize is an adult what kids can go through. I have an open communication with my training so that I can figure out what I can do to help them through stress. I was so happy after my parents finally got divorced. The fighting and crap was horrible. Very interesting post. I wasn’t aware there are so many types of stress. As a therapist, I have taken several training classes on ACE’s and I’m glad to see it get more attention. I think sometimes people do not realize the effects that early childhood trauma can have on them later in life, or attempt to avoid it. Either way, therapy can really help work through these issues. very sad, but it definitely needs addressing. Unfortunately, my two grandsons are growing up in a toxic environment and it has begun to show in their schoolwork and interactions at school and with others. It is a rough situation for sure, but thankfully my son is trying to work on things through therapy. I haven’t seen the problem of childhood trauma or toxic upbringing phrased and detailed quite like this before. This is very insightful read on a terrible problem that afflicts so many of us. It is the flame in which we are forged to become stronger. Kids deserve nothing but the best support and home life; every advantage matters. I know from personal experience that regardless of how great your adulthood is any trauma or stress in childhood will always be carried with you in some way. I have always been very aware about these things in raising my own kids. It is great there is more awareness on the stress of kids. The struggle is certainly real. Thanks for sharing your tips on this. This is a great resource for those who have kids and dealing with stress. I will have to pass this along to my Mom friends!! Stress has a lot of types, nice that you’ve shared those kind of tips. It helps a lot, will share it to others. I didn’t realize there were so many levels of stress. I get stress and anxiety and although it’s incredible to have a strong support system, sometimes seeking help from a professional is best. Wow! Thanks for breaking the stress levels down. I didn’t know there was so many levels of this. Childhood is a life period that must be stressless. I wish for all the children of the world a stressless childhoon! This is such great info for all of us moms. I am a ball of stress that I am constantly trying to smooth out, some positive, some tolerable, and some toxic, and I try so hard to show my kids a mature and positive way of dealing with stress. This is a great resource of information for all moms. I have a difficult time myself with stress. I did’t realize that there were so many levels and how dangerous toxic stress can be! WOW! I didn’t know that children would be at such a risk like this. so sad. Stress is so hard on everyone. I fear the stress on my kids daily. Thanks so much for explaining the different levels of stress, I was not aware of them. I know it’s a difficult topic to discuss, and I really appreciate your honesty. this has a lot of useful information on how stress on children affects them for a lifetime! This post is a lot of help. I am gonna let my step daughter read this. My husband and his ex has been divorced for about 11 1/2 years and still to this day it’s still a mess. My step daughter is 15 years old now and I can tell she is have different level of stress. It causes by the way her mom act and the mental abuse. My husband and I have tried for years to fix the situation but it doesn’t work. Now we just let it run to its corse. I had no idea about the different stress levels, also interesting to read about positive stress. So glad you were adopted by your grandparents and taken out of that toxic stress. I’m so sorry you had such a rough time as a kid, and thank you for sharing your experiences to help educate others. Your vulnerability is very brave. It’s weird but I actually feel I’ve learned to deal with stress so much better since becoming a mom. I try to focus on what truly matters and not let the rest truly get to me, most of the time at least. Toxic stress if severe enough can lead to almost PSD symptoms. In fact researching it, it is CPSD and can be a terrible thing to overcome. Some suffer wih this all their lives and it is sad. Important information for us all to know and understand. Very informative post, thanks! Love how you are taking your pain and educating others. Thank you for this eye-opening post. It is good to know the different types of stresses that we may be putting on our kids. Sometimes, as parents, we forget what may effect our kids! Wow, this info has to be super helpful for so many caretakers! I wasn’t aware of the different levels of stress there are. This is great information. Thank you for sharing.